A STORY OF THE HAUNTED AND CURSED. Familiar Spirits is a womana s recount of a life spent in the presence of evil. This dramatic book follows the life of a young girl as she is drawn into ritualistic play and mystic imagery. The girl learns to communicate with the haunting entities and is further lured into a dangerous web of lies and deceit. Blinded by the miraculous signs and wonders, the girl continues to play a part of this precarious game. It is not until she matures that the mask comes off and impending death is revealed. This compelling true story looks at the dramatic consequences of engaging in the spirit world. A cleverly written book, Familiar Spirits has a haunting message and warning to those who dabble in the occult. The ending of the book has a surprise twist as an unlikely hero emerges to help this woman overcome. 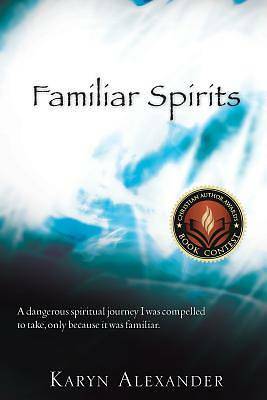 Familiar Spirits is one womana s compelling story of overcoming the darkness of the spirit world and stepping into the light and truth. Karyn Alexander resides and writes from her home in rural Kentucky. Living on a beautiful ridge top, Karyn enjoys life with her three grown children and many friends. Founder and Executive Director of a local out-reach, Karyn brings the good news of freedom to others who have been trapped by oppression and Familiar Spirits. Karyn holds a Master of Theology, is a Board Certified Pastoral Counselor, and Crisis Response Chaplain."